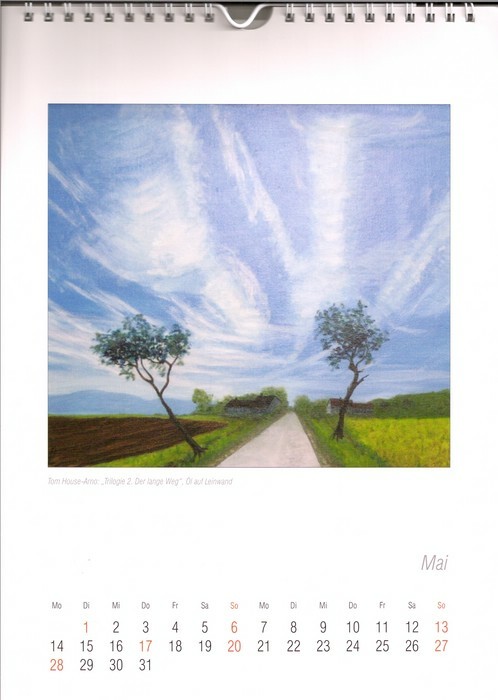 I’ve been engaged in charity and social work in the South of Germany over the last three to four decades. 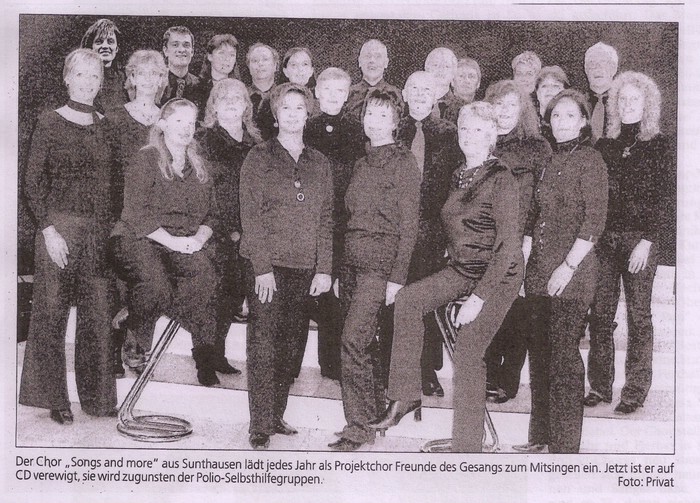 I joined the largest Polio self-help organization in Europe, the German Bundesverband Polio e.V., 20 years ago where I am engaged as board member of a regional South German group on an honorary basis. During this time, I studied the literature on Polio and the Post Polio Syndrome (PPS) and attended many lectures given by medical experts, especially on PPS. My knowledge of Latin regarding medical terminologies is fairly wide. This was an advantage and gave me more insight to the technicalities of some of the lectures and PowerPoint presentations. However, I was often puzzled and struck by the differences and information discrepancies the lecturers were giving to polio survivors who were definitely not on the same medical level as the Professors and MD’s relaying the information. Thus, it was hard disseminating the information needed and many polio survivors remained uninformed or confused. We discussed the outcome after having experienced many lectures and came to the conclusion that we needed to make our own interpretation, purely on a level of understanding for polio survivors and not for the sake of Professors and MD’s who were not able to descend to translating their medical terms into plain language. The reason being was quite obvious – the material used in the PowerPoint presentations would all have had to be re-done and that was probably too much to expect. We agreed that we should make some effort to fill this gap in the form of a large poster (1 x 2 metres) or two posters, one displaying the nervous system of a healthy human body and how it works and the counterpart showing the nervous system of a human body infected by the polio virus. As there was no one capable of doing this, I agreed to take on this task. This involved many months of investigative work followed by the creation of text, images and illustrations that were to be understandable for non-medicals. When the day came for the presentation of the posters, I was overwhelmed by the amount of questions at the end regarding the workings and relativity regarding the individual parts to the system as a whole. These were out of my depth, so I condescended to making a PowerPoint presentation explaining the correlations in question. Many months later, I presented a PowerPoint version with all the correlations. At this point, I must express the delight I found that questions from all sides came. It was indeed the breaking of a dam, because our polio survivors and some of their relatives from our self-help group were beginning to really understand and their thirst for more information was by then impossible for me to quench. I realized that they wanted more illustrations and perhaps some animations for them to understand better. I set myself this task and with the initial help from the son of a friend, I made some animations and further illustrations and inserted them in a new PowerPoint presentation. Having done some English interpretations for Professor Kai Paschen MD in the past and knowing he was, besides Dr Peter Brauer, the most eminent authority on Polio and PPS in Germany, I decided to send him the new PowerPoint presentation and ask him to check it out. In the meantime, I was busy rehearsing some songs with a soprano (friend of my wife) for a charity CD to help cover costs and for some venues with a group called Songs and More (SAM). 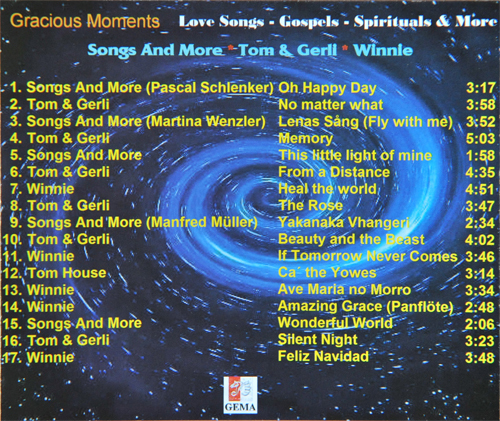 The venues and the CD were a big success and most of the money we gave to Polio charity organizations. Professor Paschen was highly delighted and checked the PowerPoint presentation, adding more extremely useful information. In the end, we made a CD containing 3 versions: a basic version, an advanced version for the informed and medical profession and a third that ran and re-started automatically, especially for self-help venues. 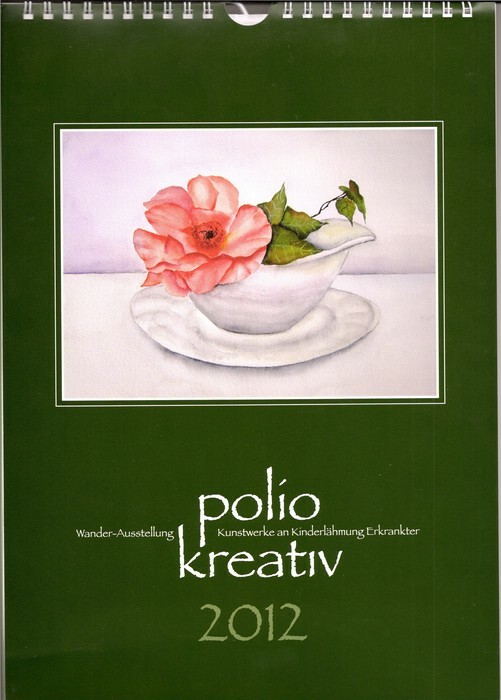 The CD was made available for the members of the Bundesverband Polio e.V. Polio • Echo is a registered non-profit charity organization, founded to counteract the prevailing lack of knowledge about polio and its late effects (PPS), for the affected, their families, doctors and generally for society as a whole. With the initial help of a friend who was monetarily reimbursed by Kai and yours truly for his help, I programmed and edited a vast amount of information that I’d gathered and had checked by Professor Paschen, which I included in our Polio-Echo Website (see above). Between 2012 and 2014, I developed a homepage and polio information and teaching package in English and German, which received high commendation from the European Polio Union after it was displayed during their annual meeting in Tullamore, Ireland, in October 2013. I made many more films and animations, as well as illustrations and masses of text was added to the information and illustrations, which I converted from PowerPoint to video. It was a vast undertaking and held back the release of Green Fields on a Dusty Road until January 2015. Unfortunately my friend Professor Kai Paschen passed away in 2015 and I am now currently President of Polio • Echo. We are not a self-help group in that sense. Our purpose as an international charity organization is to collate and distribute the amount of information acquired over the last 100 years about polio and PPS that is factually sound, reliable and detached from any economic interests, and has medical and nursing-care knowledge about this disease and its fatal consequences. For this purpose we use electronic media (DVD, CD, internet, etc.). The development of our modular teaching and training program (PPSetrain) deems this purpose. The initial language versions are in English and further language versions in most of the European languages may follow. In addition to written texts audio texts and graphics. Animated graphics and video films are included. The learn effect can be tested individually, on a voluntary basis (multiple choice questions). Print media is used accordingly. Our charity organization supports polio victims, polio fellowships and polio organizations internationally by sharing knowledge in a selfless (non-profit) manner with state-of-the-art information, with many modern ideas for imparting understandable information and in giving material support. What we want to achieve, is for polio victims who have had a most fateful, lifelong struggle and end up having PPS imposed on them, to be able to handle their everyday lives from a better position. We are an associate member of the European Polio Union. We do not have the financial support of any government or other organization and rely entirely on donations.